One of the few famous people who’d resisted the siren’s call of lip sync battles on The Tonight Show Starring Jimmy Fallon was President Barack Obama, though that didn’t appear to be due to an objection to Fallon taking over as host. The President had, after all, slow-jammed the news with Fallon back on Late Night, so presumably he’d just been busy over the last two years with affairs of state. 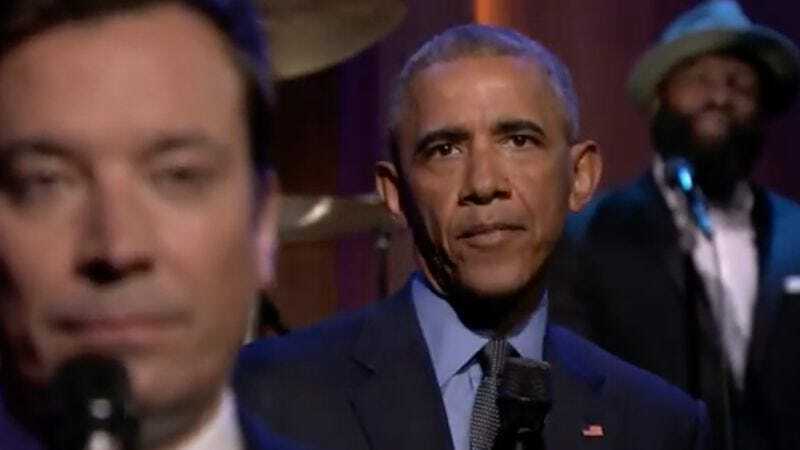 But President Obama rectified that last night, when he hung out with Fallon for the duration of the episode to talk about his presidency over a slow groove from The Roots.